First and foremost, I must warn you that this is a rant on exercise and why you are most likely doing it wrong. Let’s assign the word “sport” for the activity or play that you choose to do. Just as pro-athletes train for their sport, you must train for yours. You may not be getting paid for it (sorry) but so what?! We need to stop thinking that we are not athletes if we aren’t in school or playing at a professional level. If you do something that involves movement and play, we will call it you sport. Our sport is what we do TO our bodies and our exercise is what we do FOR our bodies. Let’s break it into steps to make it clear. Step one: Determine what your sport is. Is it running? Is it soccer? What about yoga, paddle boarding or biking? Your sport may be as simple as walking your dog or gardening. Sometimes we don’t even realize that we have a sport. Do you consider your sport something you’re doing for exercise or something you’re doing because you enjoy it? That’s the difference between TO and FOR. Your sport should be what you do TO your body, that you look forward to. Your exercise should be what you do FOR your body to support the success of you sport. If your sport is what makes you happy, then you want to perform well. Step two: Ask yourself if you’re exercising appropriatly to make you better at your sport. Why wouldn’t you want to be better at your sport? There is no way you can tell me that you are okay with hurting yourself or being bad at it. So how do you consistently get better at your sport? That is where your exercising/training comes into play. Step three: Determine what exercises you should be doing to support your sport. Let’s take running for instance. Why are you running? Is running your sport or is running exercise? If running is your sport, you are a runner. Therefore, you have to train your body to run better. 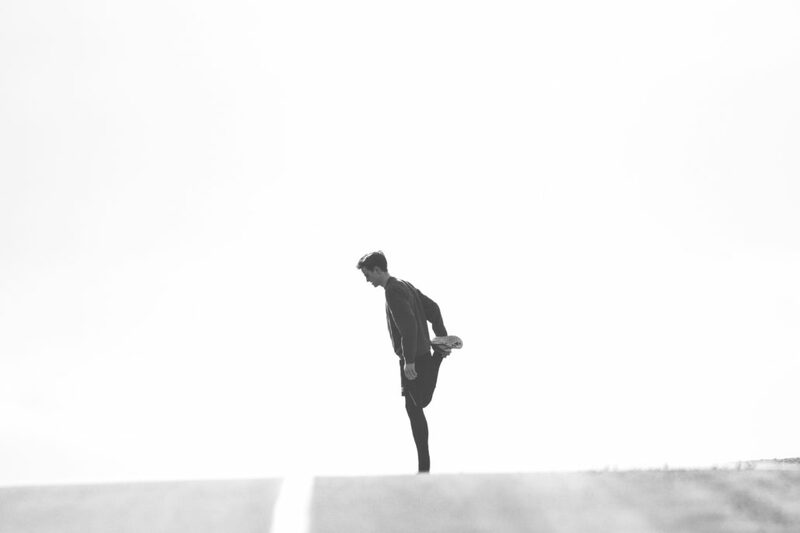 Running more WILL NOT make you run better. Efficient running requires things like glute strength for hip extension, ankle mobility in the sagittal plane (from to back) for efficient push off, and other movements that need to be evaluated. If your body doesn’t have the ability to do these movements that make it safe to run, then you’re a ticking time bomb, waiting to blown the form of a painful injury. Why should I train for my sport? That sounds like exercising for my exercise. For those of you that don’t want to “exercise” and want to just play your sport of choice, you are doing yourself a disservice. If you get injured from running, then you cant run. Its pretty simple. Now, that injury may happen in a week or in two years, but its just a matter of time before you break your body down. Bottom line – if your body doesn’t have efficient movement patterns to perform your sport safely, you are constantly putting yourself at risk. Nobody wants me to tell them to stop playing their sport, yet if you do nothing to help yourself play your sport, it’s hard for me to have sympathy when you get injured. Whether you figure it out for yourself or you go to a professional that can evaluate you, you need to move better. You need to find out if your movement patterns are working for you or against you. Your decisions dictate your results. Every sport that you do TO your body has correlating exercises that you can do FOR your body to improve performance. Every movement you do in your exercise program FOR your sport needs to have a purpose. If you do not have purpose for that specific movement, you are wasting your time or evening putting yourself at higher risk for getting injured. Bottom line; separate your sport from your exercise. Let your exercise make you better at your sport. Exercise is the path to fit body, mind, and soul. If a person is fit, he will definitely succeed.